Vision. 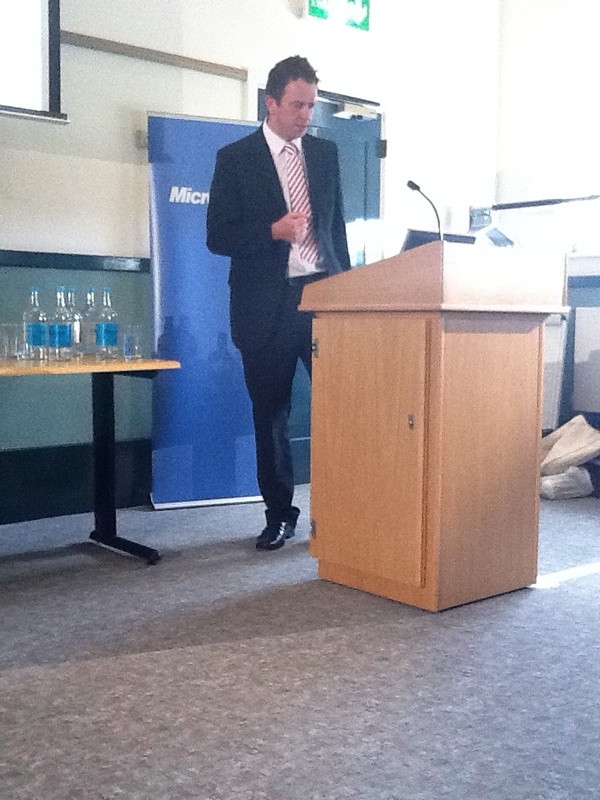 ICT underpinning everything they do. Good with some outstanding features. Like where I work. SSAT recognition for improvement. Student voice… We want to be free to use more technology. Also said, we want to learn how to learn. Year 7 new curriculum come from student voice. They designed it! Get mobile learning into lessons. Use their technology. 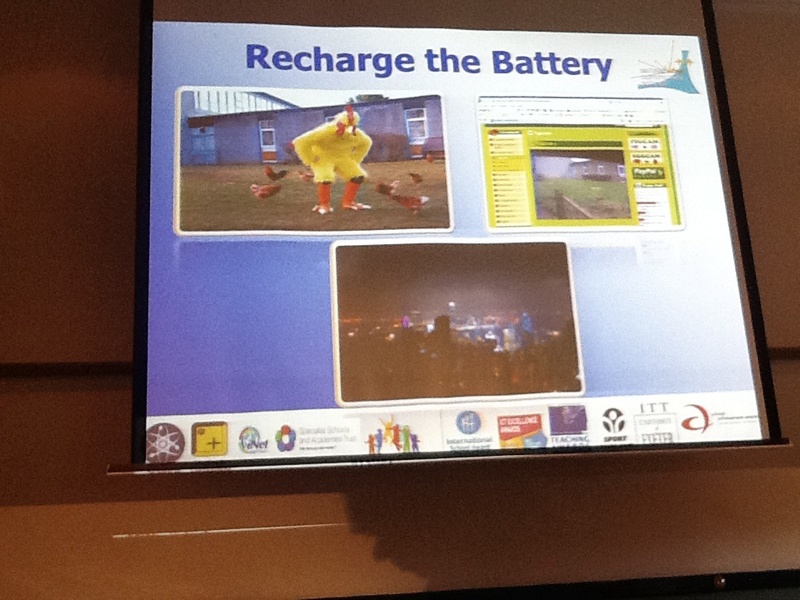 Students designed “Recharge the Battery” which led to the whole Chicken project. STUDENTS designing the curriculum. 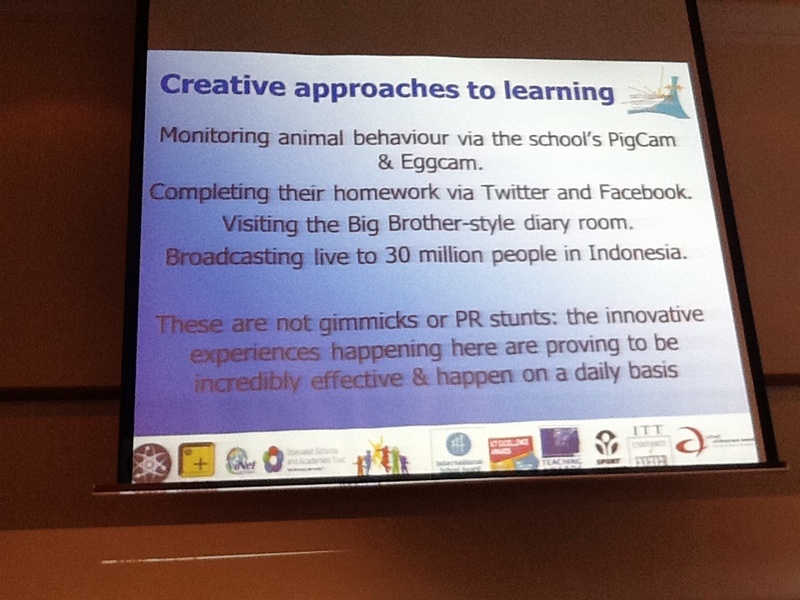 Use of Facebook and Twitter to engage students/parents with school. 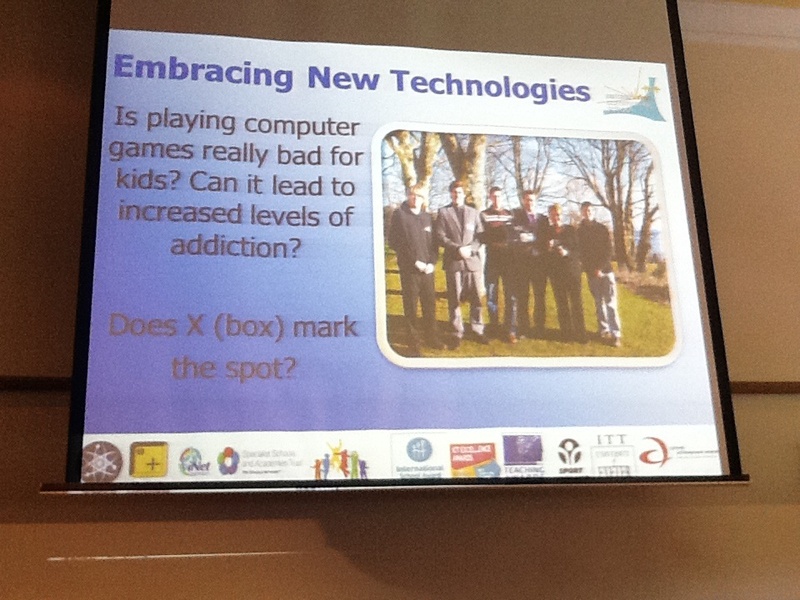 Now doing games based learning as transition tool. XMA code used to develop Xbox games. Don’t ban kids from network. Educate students! Key to success with staff is effective well curated CPD for staff via Peer support programme. See Partners in Learning site for more details.